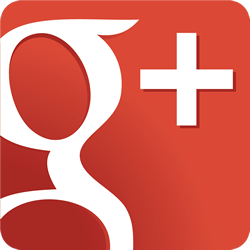 Google Plus: Dead, Dying or Starting Anew? Tech giant Google has finally relented in its attempt to corner the social media market with erstwhile Facebook competitor Google Plus. A relative failure by the industry titan to muscle its way into the lucrative social media business, Google’s social network struggled to gain traction at the start of its four year run, maintaining a middling user base and lack of interest from their target audience. Heavy handed attempts to manually boost their users fell flat, and the forced integration of Google Plus with YouTube only made people begrudging of this social network they didn’t want to use. Despite Google Plus’s relatively small active user base compared to Facebook, there are many Plus profiles linked to Google accounts, as you are automatically assigned the former when you create the latter. This may have boosted the amount of users superficially, but in reality it just turned the social network into a ghost town, with a whopping 90% of Plus profiles having never been posted to publically. Though the amount of users is significantly misrepresentative of the active user base, Google has stated the service, and all of the linked accounts, are still very useful for data purposes. Plus is known to have a dedicated active user base, who use the service as a forum for intelligent discussion and interacting with like-minded individuals in their ‘Circles’. Google are now taking steps to cater towards this crowd, such as releasing ‘Collections’, a Pinterest style service that will allow Plus users to create boards of categorised content, and fill them with images and videos based around specific interests. On one hand, it seems that Google are learning from their failure to compete with Facebook, and focusing their efforts on satisfying their loyal user base with interesting new features. On the other hand however, attempting to recreate other sites popular features was one of the reasons Google Plus went wrong in the first place. And indeed, Google’s failure to launch as a successful Facebook rival can be partially attributed to its desire to replicate the success of its competitor. If you need advice on managing social media, Mulberry Square can help. With years of experience in marketing solutions and search engine optimisation, we can help to promote and gain exposure for your brand. Our team are always happy to provide assistance, just give us a call on 0116 237 4603.